Buy New Flats Konnagar Vibgyor Housing Ltd. Vibgyor Subham new property flat price rate costs charges 1 2 3 BHK Rooms size area Vibgyor Subham flats booking online, Konnagar Vibgyor Subham Buy Flat details of Vibgyor Subham Konnagar housing project. Vibgyor Subham at Konnagar has given the opportunity to the people of Kolkata and across Bengal to buy new flat at Konnagar of Vibgyor Housing Ltd. Real Estate Company. Those who are looking for New Property / Flat / House nearby Hindmotor, Sreerampore, Uttarpara, Makhla, Rishra areas of Konnagar (Hooghly district) at cheap price rate; can now contact the head office of Vibgyor Housing Ltd. to book new flat of Vibgyor Subham, Konnagar. Lift Service, CCTV for Security reasons, 24-hours water supply, 24-hours power backups, and many other common facilities are available at Vibgyor Subham, Konnagar Housing Apartments of Vibgyor Housing Ltd.. There are several types of flats / accommodations are available at Vibgyor Subham like 1-BHK, 2-BHK, 3-BHK Rooms etc and the Vibgyor Subham flat price at Konnagar are varies depending on the Flat Size. Finance and Bank Loan facility is available at Vibgyor Subham Housing Project for the buyers. Vibgyor Subham Konnagar Residential complex has one stand-alone tower (G+3) consisting of 11 flats [1 BHK flat size 600 sq. ft. and 2 BHK flat size 648 to 840 sq. ft.]. The price of Vibgyor Subham Konnagar Residential complex is only Rs.2500/- per Sq. ft.
Vibgyor Subham Housing Project Site Address: - 7, Vidyasagar Street, Near Konnagar Railway Station, Hooghly, West Bengal. Vibgyor Subham Konnagar Real Estate Project Phone contact number: - 7439508400 / 9830762900. Vibgyor Housing Ltd. Head Office Address: - N/24 Jessore Road (South), Barasat, Kolkata. Vibgyor Housing Ltd. Head Office Phone Contact Number: - 98310-88518 / 98362-22223. Vibgyor Housing Ltd. website: - www.vibgyorrealty.com. It is recommended to the peoples, who want to buy flats at Konnagar (or nearby areas like Uttarpara, Hindmotor, Bhadrakali, Rishra, Sreerampore), to contact Vibgyor Housing Ltd. as soon as possible to fill-out new flat booking forms of Vibgyor Subham of Konnagar or to know whether any discount / offer is going on new Vibgyor Subham flat prices. Buy New Flats Boral Kolkata Vibgyor Housing Ltd. Vikram Aqua new property flat price rate costs charges 2 3 BHK Rooms size area Vikram Aqua flats booking online, Boral Kolkata Vikram Aqua Buy Flat details of Vikram Aqua Boral Kolkata housing project. Vikram Aqua at Boral Kolkata has given the opportunity to the people of Kolkata and across Bengal to buy new flat at Boral Kolkata of Vibgyor Housing Ltd. Real Estate Company. Those who are looking for New Property / Flat / House nearby Garia, Mukundapur, Ruby, Kasba, Narendrapur areas of South Kolkata at cheap price rate; can now contact the head office of Vibgyor Housing Ltd. to book new flat of Vikram Aqua, Boral Kolkata. Lift Service, Swimming Pool, Lush green landscaped lawn, community hall, gymnasium, children’s play area, CCTV for Security reasons, video door phone for security safety, 24-hours water supply, 24-hours power backups, and many other common facilities are available at Vikram Aqua, Boral Kolkata Housing Apartments of Vibgyor Housing Ltd.. There are several types of flats / accommodations are available at Vikram Aqua like 2-BHK, 3-BHK Rooms etc and the Vikram Aqua flat price at Boral Kolkata are varies depending on the Flat Size. Finance and Bank Loan facility is available at Vikram Aqua Housing Project for the buyers. Vikram Aqua Boral Residential Complex of Kolkata has two towers (G+4) with around 40 flats – 2 & 3 BHK Flat size ranging between 911 – 1279 sq. ft.
Vikram Aqua Housing Project Site Address: - Bhager Khol, Boral Main Road, Garia, Kolkata-103. Vibgyor Housing Ltd. Head Office Phone Contact Number: - 84200-05661 / 89810-10007 / 98747-60009. It is recommended to the peoples, who want to buy flats at Boral Kolkata (or nearby areas like Garia, EM Bypass, Narendrapur), to contact Vibgyor Housing Ltd. as soon as possible to fill-out new flat booking forms of Vikram Aqua of Boral Kolkata or to know whether any discount / offer is going on new Vikram Aqua flat prices. Buy New Flats Barasat Kolkata Vibgyor Housing Ltd. Binapani Apartment new property flat price rate costs charges 2 3 BHK Rooms size area Binapani Apartment flats booking online, Barasat Kolkata Binapani Apartment Buy Flat details of Binapani Apartment Barasat Kolkata housing project. Binapani Apartment at Barasat Kolkata has given the opportunity to the people of Kolkata and across Bengal to buy new flat at Barasat Kolkata of Vibgyor Housing Ltd. Real Estate Company. Those who are looking for New Property / Flat / House nearby Badu, Madhyamgram, Chapadali, Hridaypur, Duttapukur areas of North Kolkata at cheap price rate; can now contact the head office of Vibgyor Housing Ltd. to book new flat of Binapani Apartment, Barasat Kolkata. Lift Service, Swimming Pool, Lush green landscaped lawn, community hall, gymnasium, children’s play area, CCTV for Security reasons, video door phone for security safety, 24-hours water supply, 24-hours power backups, and many other common facilities are available at Binapani Apartment, Barasat Kolkata Housing Apartments of Vibgyor Housing Ltd.. There are several types of flats / accommodations are available at Binapani Apartment like 2-BHK, 3-BHK Rooms etc and the Binapani Apartment flat price at Barasat Kolkata are varies depending on the Flat Size. Finance and Bank Loan facility is available at Binapani Apartment Housing Project for the buyers. Flat size of 2BHK - 949 to 1024 sq. ft. and flat price is only Rs.2000/- sq. ft. at Binapani Apartment Barasat Kolkata Housing project, located near Barasat Railway Station. Binapani Apartment Housing Project Site Address: - 2073, Noapara Krishnanagar Road, Barasat, Kolkata, North 24-Parganas, Pin-700124. Vibgyor Housing Ltd. Head Office Address: - N/24, Jessore Road (South), Barasat, Kolkata, North 24-Parganas. Vibgyor Housing Ltd. Head Office Phone Contact Number: - 9830553388 / 9830073028. It is recommended to the peoples, who want to buy flats at Barasat Kolkata (or nearby areas like Haritala More, Barasat Station, Chapadali), to contact Vibgyor Housing Ltd. as soon as possible to fill-out new flat booking forms of Binapani Apartment of Barasat Kolkata or to know whether any discount / offer is going on new Binapani Apartment flat prices. Buy New Flats Belur Howrah Vibgyor Housing Ltd. Keshab Dham Complex new property flat price rate costs charges 2 3 BHK Rooms size area Keshab Dham Complex flats booking online, Belur Howrah Keshab Dham Complex Buy Flat details of Keshab Dham Complex Belur Howrah housing project. Keshab Dham Complex at Belur Howrah has given the opportunity to the people of Kolkata and across Bengal to buy new flat at Belur Howrah of Vibgyor Housing Ltd. Real Estate Company. Those who are looking for New Property / Flat / House nearby Bally, Belur, Liluah areas of Howrah at cheap price rate; can now contact the head office of Vibgyor Housing Ltd. to book new flat of Keshab Dham Complex, Belur Howrah. 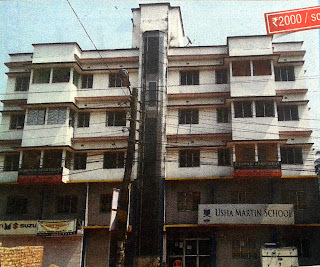 Lift Service, Swimming Pool, Lush green landscaped lawn, community hall, gymnasium, children’s play area, CCTV for Security reasons, video door phone for security safety, 24-hours water supply, 24-hours power backups, and many other common facilities are available at Keshab Dham Complex, Belur Howrah Housing Apartments of Vibgyor Housing Ltd.. There are several types of flats / accommodations are available at Keshab Dham Complex like 2-BHK Rooms etc and the Keshab Dham Complex flat price at Belur Howrah are varies depending on the Flat Size. Finance and Bank Loan facility is available at Keshab Dham Complex Housing Project for the buyers. Flat size of 2BHK - 589 to 932 sq. ft. and flat price is only Rs.2500/- sq. ft. at Keshab Dham Complex Belur Howrah Housing project. Keshab Dham Complex Housing Project Site Address: - 80, Lala Babu Shire Road, Belur, Howrah. It is recommended to the peoples, who want to buy flats at Belur Howrah (or nearby areas like Bally, Belurmath, Liluah), to contact Vibgyor Housing Ltd. as soon as possible to fill-out new flat booking forms of Keshab Dham Complex of Belur Howrah or to know whether any discount / offer is going on new Keshab Dham Complex flat prices. Buy New Flats Puri Vibgyor Housing Ltd. Binodini Arcade new property flat price rate costs charges 2 3 BHK Rooms size area Binodini Arcade flats booking online, Puri Binodini Arcade Buy Flat details of Binodini Arcade Puri housing project. Binodini Arcade at Puri has given the opportunity to the people of Kolkata and across Bengal to buy new flat at Puri of Vibgyor Housing Ltd. Real Estate Company. Those who are looking for New Property / Flat / House nearby Bhubaneswar, Puri Sea Beach, Jagannath Temple areas of Puri (Orissa) at cheap price rate; can now contact the head office of Vibgyor Housing Ltd. to book new flat of Binodini Arcade, Puri. Lift Service, Swimming Pool, Lush green landscaped lawn, community hall, gymnasium, children’s play area, CCTV for Security reasons, video door phone for security safety, 24-hours water supply, 24-hours power backups, and many other common facilities are available at Binodini Arcade, Puri Housing Apartments of Vibgyor Housing Ltd.. There are several types of flats / accommodations are available at Binodini Arcade like 2-BHK, 3-BHK Rooms etc and the Binodini Arcade flat price at Puri are varies depending on the Flat Size. Finance and Bank Loan facility is available at Binodini Arcade Housing Project for the buyers. 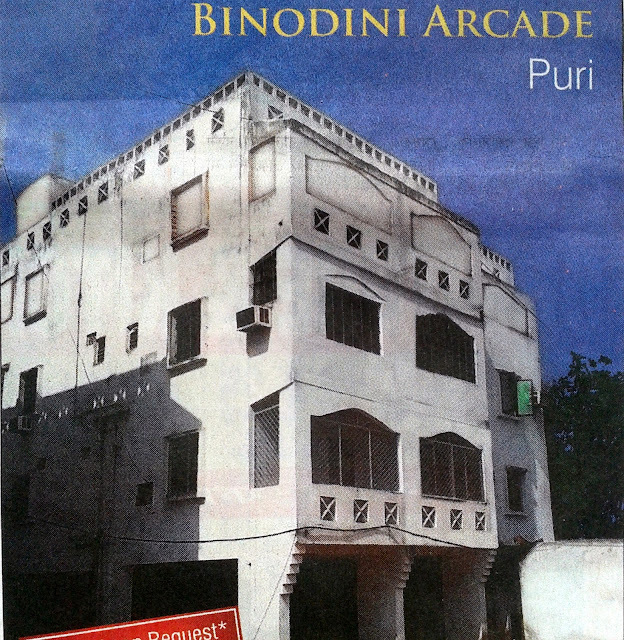 Binodini Arcade Puri Housing project is a fully furnished 3 Star category lodge (G+3) with a floor area of 7000 sq. ft. and has 6 rooms. Binodini Arcade Housing Project Site Address: - Sipasarubali, Baliapanda, Near Starling Resort, Puri, Odisha. It is recommended to the peoples, who want to buy flats at Puri (or nearby areas like Sipasarubali, Baliapanda, Puri, Bhubaneswar), to contact Vibgyor Housing Ltd. as soon as possible to fill-out new flat booking forms of Binodini Arcade of Puri or to know whether any discount / offer is going on new Binodini Arcade flat prices. 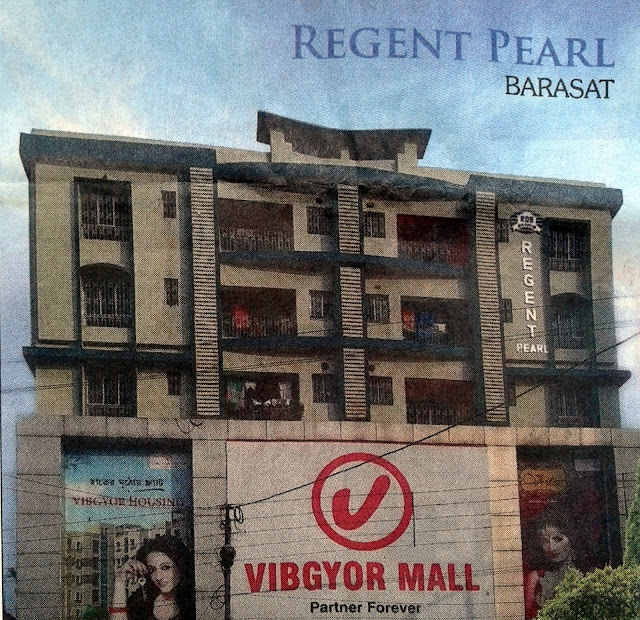 Buy New Flats Barasat Kolkata Vibgyor Housing Ltd. Regent Pearl new property flat price rate costs charges 2 3 BHK Rooms size area Regent Pearl flats booking online, Barasat Kolkata Regent Pearl Buy Flat details of Regent Pearl Barasat Kolkata housing project. Regent Pearl at Barasat Kolkata has given the opportunity to the people of Kolkata and across Bengal to buy new flat at Barasat Kolkata of Vibgyor Housing Ltd. Real Estate Company. Those who are looking for New Property / Flat / House nearby Barasat, Duttapukur, Madhyamgram, New Barrackpore areas of North Kolkata at cheap price rate; can now contact the head office of Vibgyor Housing Ltd. to book new flat of Regent Pearl, Barasat Kolkata. Lift Service, Swimming Pool, Lush green landscaped lawn, community hall, gymnasium, children’s play area, CCTV for Security reasons, video door phone for security safety, 24-hours water supply, 24-hours power backups, and many other common facilities are available at Regent Pearl, Barasat Kolkata Housing Apartments of Vibgyor Housing Ltd.. There are several types of flats / accommodations are available at Regent Pearl like 2-BHK, 3-BHK Rooms etc and the Regent Pearl flat price at Barasat Kolkata are varies depending on the Flat Size. Finance and Bank Loan facility is available at Regent Pearl Housing Project for the buyers. Flat size of 2BHK - 911 sq. ft., Flat size of 3BHK: 1220 to 1227 sq. ft. and flat price is only Rs.2500/- sq. ft. at Regent Pearl Barasat Kolkata Housing project, which is a G+5 Storied building & from 3rd to 5th floor is available for residential purpose with separate lift & lobby. Regent Pearl Housing Project Site Address: - Regent Pearl Housing Complex, Link Road, Dhandabag, P.S. : Barasat Kolkata, Pin-713213, Burdwan, West Bengal. It is recommended to the peoples, who want to buy flats at Barasat Kolkata (or nearby areas like Duttapukur, Madhyamgram, New Barrackpore), to contact Vibgyor Housing Ltd. as soon as possible to fill-out new flat booking forms of Regent Pearl of Barasat Kolkata or to know whether any discount / offer is going on new Regent Pearl flat prices. 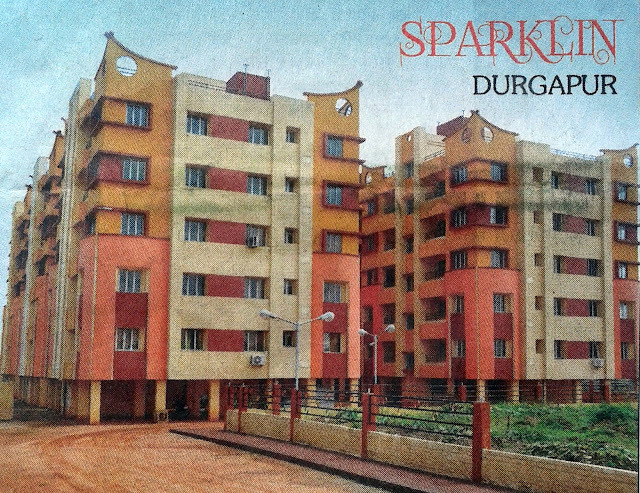 Buy New Flats Durgapur Vibgyor Housing Ltd. Sparklin new property flat price rate costs charges 2 3 BHK Rooms size area Sparklin flats booking online, Durgapur Sparklin Buy Flat details of Sparklin Durgapur housing project. Sparklin at Durgapur has given the opportunity to the people of Kolkata and across Bengal to buy new flat at Durgapur of Vibgyor Housing Ltd. Real Estate Company. Those who are looking for New Property / Flat / House nearby Durgapur, Burnpur, Asansol, Ranigunje areas of Burdwan district at cheap price rate; can now contact the head office of Vibgyor Housing Ltd. to book new flat of Sparklin, Durgapur. Lift Service, Swimming Pool, Lush green landscaped lawn, community hall, gymnasium, children’s play area, CCTV for Security reasons, video door phone for security safety, 24-hours water supply, 24-hours power backups, and many other common facilities are available at Sparklin, Durgapur Housing Apartments of Vibgyor Housing Ltd.. There are several types of flats / accommodations are available at Sparklin like 2-BHK, 3-BHK Rooms etc and the Sparklin flat price at Durgapur are varies depending on the Flat Size. Finance and Bank Loan facility is available at Sparklin Housing Project for the buyers. 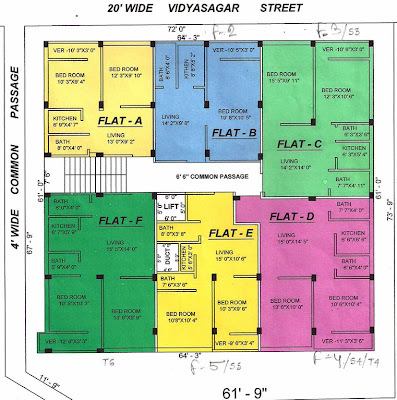 Flat size of 2BHK - 762 to 809 sq. ft., Flat size of 3BHK: 1574 sq. ft. and flat price is only Rs.2350/- sq. ft. at Sparklin Durgapur Housing project. Sparklin Housing Project Site Address: - Sparklin Housing Complex, Link Road, Dhandabag, P.S. : Durgapur, Pin-713213, Burdwan, West Bengal. Vibgyor Housing Ltd. Head Office Address: - Realty House, 59, Elliot Road, Kolkata-16. It is recommended to the peoples, who want to buy flats at Durgapur (or nearby areas like Asansol, Ranigunje, Burnpur, Burdwan), to contact Vibgyor Housing Ltd. as soon as possible to fill-out new flat booking forms of Sparklin of Durgapur or to know whether any discount / offer is going on new Sparklin flat prices. Buy New Flats Asansol Vibgyor Group Vikram Heights new property flat price rate costs charges 1 2 3 BHK Rooms size area Vikram Heights flats booking online, Asansol Vikram Heights Buy Flat details of Vikram Heights Asansol housing project. Vikram Heights at Asansol has given the opportunity to the people of Kolkata and across Bengal to buy new flat at Asansol of Vibgyor Group Real Estate Company. Those who are looking for New Property / Flat / House nearby Durgapur, Ranigunje, Asansol areas of Burdwan district at cheap price rate; can now contact the head office of Vibgyor Group to book new flat of Vikram Heights, Asansol. Lift Service, Swimming Pool, Lush green landscaped lawn, community hall, gymnasium, children’s play area, CCTV for Security reasons, video door phone for security safety, 24-hours water supply, 24-hours power backups, and many other common facilities are available at Vikram Heights, Asansol Housing Apartments of Vibgyor Group. There are several types of flats / accommodations are available at Vikram Heights like 1-BHK, 2-BHK, 3-BHK Rooms etc and the Vikram Heights flat price at Asansol are varies depending on the Flat Size. Finance and Bank Loan facility is available at Vikram Heights Housing Project for the buyers. Vibgyor Housing Ltd and Trivikram Project Pvt. Ltd. has come up with Vikram Heights Asansol Residential project having Twin Towers (B + G + 7) containing total of 75 Flats [1/2 & 3 BHK Flats size around 740 – 1215 sq. ft.]. Vikram Heights Housing Project Site Address: - Dhadhka Crossing, Asansol, District: Burdwan, West Bengal. Vikram Heights Asansol Real Estate Project Phone contact number: - 8697974524 / 8697709372. Vibgyor Group website: - www.vibgyorrealty.com. It is recommended to the peoples, who want to buy flats at Asansol (or nearby areas like Dhadhka, Asansol, Durgapur), to contact Vibgyor Group as soon as possible to fill-out new flat booking forms of Vikram Heights of Asansol or to know whether any discount / offer is going on new Vikram Heights flat prices. Those looking for Flats at Baruipur (South Kolkata) area of Vibgyor Housing Limited are requested to check out Vibgyor Niketan Baruipur Housing Project – Flat Booking Going On Now. Buy New Flats Baruipur Kolkata Vibgyor Group Vibgyor Niketan new property flat price rate costs charges 1 2 3 BHK Rooms size area Vibgyor Niketan flats booking online, Baruipur Kolkata Vibgyor Niketan Buy Flat details of Vibgyor Niketan Baruipur Kolkata housing project. Vibgyor Niketan at Baruipur Kolkata has given the opportunity to the people of Kolkata and across Bengal to buy new flat at Baruipur Kolkata of Vibgyor Group Real Estate Company. Those who are looking for New Property / Flat / House nearby Garia, Narendrapur, Mallickpur areas of South Kolkata (South 24-Parganas) at cheap price rate; can now contact the head office of Vibgyor Group to book new flat of Vibgyor Niketan, Baruipur Kolkata. Lift Service, Swimming Pool, Lush green landscaped lawn, community hall, gymnasium, children’s play area, CCTV for Security reasons, video door phone for security safety, 24-hours water supply, 24-hours power backups, and many other common facilities are available at Vibgyor Niketan, Baruipur Kolkata Housing Apartments of Vibgyor Group. There are several types of flats / accommodations are available at Vibgyor Niketan like 1-BHK room, 2-BHK rooms, Studio Apartment etc and the Vibgyor Niketan flat price at Baruipur Kolkata are varies depending on the Flat Size. Finance and Bank Loan facility is available at Vibgyor Niketan Housing Project for the buyers. 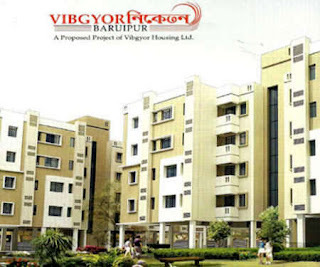 Vibgyor Niketan Baruipur is developed on 15.5 bighas of land and having 23 towers (G+4) consisting of 500 flats. Flat Size: - 2 BHK Flat size 663 sq. ft., 1 BHK flat size 433 sq. ft. and Studio Apartment size 292 sq. ft.
Vibgyor Niketan Housing Project Site Address: - Mouza & P.S. : Baruipur, Madarat Gram Panchayat, South 24-Parganas, West Bengal. Vibgyor Niketan Baruipur Kolkata Real Estate Project Phone contact number: - 898101007 / 9874760009. It is recommended to the peoples, who want to buy flats at Baruipur Kolkata (or nearby areas like Garia, Narendrapur), to contact Vibgyor Group as soon as possible to fill-out new flat booking forms of Vibgyor Niketan of Baruipur Kolkata or to know whether any discount / offer is going on new Vibgyor Niketan flat prices. Buy New Flats Bankura Vibgyor Allied Infrastructure Ltd Anandapuri new property flat price rate costs charges 2 3 BHK Rooms size area Anandapuri flats booking online, Bankura Anandapuri Buy Flat details of Anandapuri Bankura housing project. Vibgyor Anandapuri at Bankura, first ever Condominium of Villas & Apartments in Bankura, has given the opportunity to the people of Kolkata and across Bengal to buy new flat at Bankura of Vibgyor Allied Infrastructure Ltd Real Estate Company. Those who are looking for New Property / Flat / House nearby Ashrampara, Vivekanandapalli areas of Bankura at cheap price rate; can now contact the head office of Vibgyor Allied Infrastructure Ltd to book new flat of Anandapuri, Bankura. Lift Service, Swimming Pool, Lush green landscaped lawn, community hall, gymnasium, children’s play area, CCTV for Security reasons, video door phone for security safety, 24-hours water supply, 24-hours power backups, and many other common facilities are available at Anandapuri, Bankura Housing Apartments of Vibgyor Allied Infrastructure Ltd.
Vibgyor Anandapuri Residential project of Bankura is spread over 2-acres of land and having Villas & Apartments for the people. Anandapuri Bankura Villa details: 4-BHK types, land area approx 2.2 cottah and Villa area around 1556 sq. ft.
Anandapuri Bankura Apartment details: Total two towers containing 2 BHK & 3BHK flats. 2 BHK flat size around 976 sq. ft. and 3 BHK flat size around 1166 sq. ft. All total of 110 flats are available. There are several types of flats / accommodations are available at Anandapuri like 2-BHK, 3-BHK Rooms etc and the Anandapuri flat price at Bankura are varies depending on the Flat Size. Finance and Bank Loan facility is available at Anandapuri Housing Project for the buyers. • Anandapuri Housing Project Site Address: - Vivekanandapalli, Ashrampara, P.O. + P.S. + District – Bankura, Near Bankura Municipality, Pin-722101, West Bengal. • Anandapuri Bankura Real Estate Project Phone contact number: - 98300-73028 / 98305-53388. • Vibgyor Allied Infrastructure Ltd Head Office Address: - Realty House, 59 Elliot Road, Kolkata-16. • Vibgyor Allied Infrastructure Ltd website: - www.vibgyorrealty.com. It is recommended to the peoples, who want to buy flats at Bankura (or nearby areas like Bankura Municipality, Ashrampara), to contact Vibgyor Allied Infrastructure Ltd as soon as possible to fill-out new flat booking forms of Anandapuri of Bankura or to know whether any discount / offer is going on new Anandapuri flat prices. Buy New Flats Durgapur Vibgyor Group Vibgyor Housing new property flat price rate costs charges 1 2 3 BHK Rooms size area Vibgyor Housing flats booking online Buy Flat, details of Vibgyor Housing Durgapur housing project. Vibgyor Housing at Durgapur has given the opportunity to the people of Kolkata and across Bengal to buy new flats at Durgapur of Vibgyor Group Real Estate Company. Those who are looking for New Property / Flat / Houses nearby Rajbandh, Muchipara, City Centre area of Durgapur (Burdwan district) at cheap price rate; can now contact the head office of Vibgyor Group to book new flats of Vibgyor Housing, Durgapur. 24x7 pwer back-up, Guest House, Round the clock Security, Pharmacy, Children’s play area, Lift, ATM, AC Gym & Parlour, Banquet Hall, Utility Shop, Jogger’s Park, Shopping Complex, Club house, Car & Two wheeler parking area, and many other common facilities are available at Vibgyor Housing, Durgapur Real Estate Housing Apartments of Vibgyor Group. Let’s check out the locational advantages of Durgapur Vibgyor Housing now – Rajbandh bus stop only 4km, Rajbandh Railway Station only 5.5km, Durgapur station 5.5 km, Durgapur city centre 7km, Muchipara bus stop 4.5km and NSHM College only 2km far away. There are several types of flats / accommodations are available at Vibgyor Housing like 1-BHK, 2-BHK, Studio Apartments etc and the Vibgyor Housing flat price at Durgapur are varies. Flat price starts from Rs.1600/- per Sq. ft. only. Finance and Bank Loan facility is available at Vibgyor Housing Project for the buyers. The project area is on 11230 sq. m. and total of 6 Towers (G+4) contains 288 flats. The 2-BHK flat size is 634.65 sq. ft., 1-BHK flat size is 428.39 sq. ft. and Studio Apartment size is 279.53 sq. ft. of Vibgyor Housing Durgapur. • Vibgyor Housing Project Site Address: - Mouja – Gopalpur, P.S.- Kanksa, Durgapur, Burdwan. • Vibgyor Housing Durgapur Real Estate Project Phone contact number: - 98303-77117 / 98362-22223 / 98304-22203. • Vibgyor Group website: - www.vibgyorrealty.com [realestate@vail2.co.in]. It is recommended to the peoples, who want to buy flats at Durgapur (or nearby area like Rajbandh, Muchipara, Durgapur City Centre), to contact Vibgyor Group as soon as possible to know new Vibgyor Housing flat prices and to Book Flats. Buy New Flats Duttapukur Vibgyor Housing Ltd Chandramukhi Housing new property flat price rate costs charges 1 2 3 BHK Rooms size area Chandramukhi Housing flats booking online Buy Flat Kolkata, details of Chandramukhi Housing Duttapukur housing project. Chandramukhi Housing at Duttapukur has given the opportunity to the people of Kolkata and across Bengal to buy new flats at Duttapukur of Vibgyor Housing Ltd Real Estate Company. Those who are looking for New Property / Flat / Houses nearby Barasat, Madhyamgram, Guma, Bira areas of North 24-Pgs (Kolkata) at cheap price rate; can now contact the head office of Vibgyor Housing Ltd to book new flats of Chandramukhi Housing, Duttapukur. 24x7 power backup, Round the clock security, Lift, 24-hours water supply, Utility shop, Pharmacy, Children’s Play area, Car & Two wheeler parking area, Guest house, and many other common facilities are available at Chandramukhi Housing, Duttapukur Real Estate Housing Apartments of Vibgyor Housing Ltd. More importantly, the Chandramukhi Housing of Duttapukur is located just 1.4Km from Duttapukur Railway Station, 850m from nearest Market, 750m from NH-35 & Bus Stoppage, 4km from Barasat Hospital and only 1km from Duttapukur Hospital. There are several types of flats / accommodations are available at Chandramukhi Housing like 1-BHK, 2-BHK, Studio Apartments etc and the Chandramukhi Housing flat price at Duttapukur are varies. Finance and Bank Loan facility is available at Chandramukhi Housing Housing Project for the buyers. Chandramukhi Housing Complex of Duttapukur is situated on 7 Bighas 11 Cottha areas and has total 18 Towers [G+4]. There are total of 320 flats are available. Size of flats as follows – 2BHK Flat size 660sq. ft., 1BHK flat size 418sq. ft. and Studio Apartment size 279sq. ft. The price of flats at Chandramukhi Housing project of Duttapukur starts from Rs.1500/- per Sq. ft. only. • Chandramukhi Housing Project Site Address: - Duttapukur, Mouza – Narasinghapur, P.S. : Barasat, Under Kashimpur Gram Panchayat. • Chandramukhi Housing Duttapukur Real Estate Project Phone contact number: - 9874992028 / 8296931839. • Vibgyor Housing Ltd Head Office Phone Contact Number: - 9836222223 / 9831088518. • Vibgyor Housing Ltd website: -www.vibgyorrealty.com [realestate@vail2.co.in]. It is recommended to the peoples, who want to buy flats at Duttapukur (or nearby area like Barasat, Kazipara, Bira), to contact Vibgyor Housing Ltd as soon as possible to know new Chandramukhi Housing flat prices and to Book Flats. Buy New Flats Bishnupur Vibgyor Realty Group Prothom Aalo new property flat price rate costs charges 1 2 3 BHK Rooms size area Prothom Aalo flats booking online Buy Flat Kolkata, details of Prothom Aalo Bishnupur housing project. Prothom Aalo at Bishnupur has given the opportunity to the people of Kolkata and across Bengal to buy new flats at Bishnupur of Vibgyor Realty Group Real Estate Company. Those who are looking for New Property / Flat / Houses nearby Turki Sitarampur, Municipality area of Bishnupur [Bankura district of West Bengal] at cheap price rate; can now contact the head office of Vibgyor Realty Group to book new flats of Prothom Aalo, Bishnupur. Lift Service, Swimming Pool, Lush green landscaped lawn, community hall, gymnasium, children’s play area, CCTV for Security reasons, video door phone for security safety, 24-hours water supply, 24-hours power backups, and many other common facilities are available at Prothom Aalo, Bishnupur Real Estate Housing Apartments of Vibgyor Realty Group. It is well connected by Road & Railway and located only 10 minutes distance from Railway Station, Bus Stand & Local market. There are several types of flats / accommodations are available at Prothom Aalo like 2-BHK, 3-BHK Rooms etc and the Prothom Aalo flat price at Bishnupur are varies. 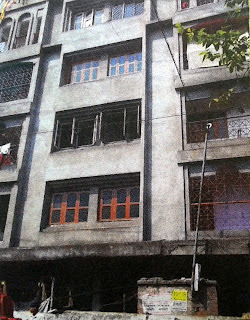 Finance and Bank Loan facility is available at Prothom Aalo Housing Project for the buyers. It is a G+4 one Tower project and 2/3 BHK room size around 704-1249 sq. ft. The flat price starts from only Rs.1600/- per Sq. Ft. at Prothom Aalo Bishnupur Housing Complex. • Prothom Aalo Housing Project Site Address: -Turki Sitarampur, Bishnupur Municipality, District-Bankura, West Bengal. • Prothom Aalo Bishnupur Real Estate Project Phone contact number: - 03244-321596 / 07679461181. • Vibgyor Realty Group Head Office Address: - Vibgyor Tower, 87 Dr. Suresh Sarkar Road, Kolkata-14. • Vibgyor Realty Group Head Office Phone Contact Number: - 9143665732 / 7439280078. • Vibgyor Realty Group website: - realestate@vail2.co.in [www.vibgyorrealty.com]. It is recommended to the peoples, who want to buy flats at Bishnupur (or nearby area like Sitarampur), to contact Vibgyor Realty Group as soon as possible to know new Prothom Aalo flat prices and to Book Flats. Buy New Flats Sonarpur Kolkata Vibgyor Group Regent new property flat price rate costs charges 1 2 3 BHK Rooms size area Regent flats booking online Buy Flat Kolkata, details of Regent Sonarpur Kolkata housing project. Regent at Sonarpur Kolkata has given the opportunity to the people of Kolkata and across Bengal to buy new flats at Sonarpur Kolkata of Vibgyor Group Real Estate Company. Those who are looking for New Property / Flat / Houses nearby Kamalgachi, Narendrapur, Garia, Sonarpur of South Kolkata at cheap price rate; can now contact the head office of Vibgyor Group to book new flats of Regent, Sonarpur Kolkata. Lift Service, Swimming Pool, Lush green landscaped lawn, community hall, gymnasium, children’s play area, CCTV for Security reasons, video door phone for security safety, 24-hours water supply, 24-hours power backups, and many other common facilities are available at Regent, Sonarpur Kolkata Real Estate Housing Apartments of Vibgyor Group. Regent Sonarpur Housing Complex is the premium residential destination at Sonarpur with 60% open space. There are several types of flats / accommodations are available at Regent like 1-BHK, 2-BHK, 3-BHK Rooms etc and the Regent flat price at Sonarpur Kolkata are varies. Finance and Bank Loan facility is available at Regent Housing Project for the buyers. 2-BHK Flat size 918-1131 sq. ft., 3-BHK flat size 1285-1642 sq.ft. and price of flats at Regent Sonarpur Housing project starts from Rs.2300/- per Sq. ft.
• Regent Housing Project Site Address: - Regent Sonarpur, Sonarpur Station Road, Simultala More, P.S. – Sonarpur, P.O. – Narendrapur, Kolkata-103. • Vibgyor Group Head Office Address: - Vibgyor House, P-25 CIT Road, Kolkata-14. • Vibgyor Group Head Office Phone Contact Number: - 98300-73028 / 98305-53388. • Vibgyor Group website: - www.vibgyorgroup.co.in. It is recommended to the peoples, who want to buy flats at Sonarpur Kolkata (or nearby area like Narendrapur, Kamalgachi, Baruipur), to contact Vibgyor Group as soon as possible to know new Regent flat prices and to Book Flats. Buy New Flats Barasat Vibgyor Housing Group Gunjan new property flat price rate costs charges 1 2 3 BHK Rooms size area Gunjan flats booking online Buy Flat Kolkata. Gunjan at Barasat has given the opportunity to the people of Kolkata and across Bengal to buy new flats at Barasat of Vibgyor Housing Group Real Estate Company. Those who are looking for New Property / Flat / Houses nearby Barrackpore, Barasat State University area of North Kolkata at cheap price rate; can now contact the head office of Vibgyor Housing Group to book new flats of Gunjan, Barasat. Lift Service, Swimming Pool, Lush green landscaped lawn, community hall, gymnasium, children’s play area, CCTV for Security reasons, video door phone for security safety, 24-hours water supply, 24-hours power backups, and many other common facilities are available at Gunjan, Barasat Real Estate Housing Apartments of Vibgyor Housing Group. There are several types of flats / accommodations are available at Gunjan like 1-BHK, 2-BHK, 3-BHK Rooms etc and the Gunjan flat price at Barasat are varies. Finance and Bank Loan facility is available at Gunjan Housing Project for the buyers. Types of Flats at Gunjan Housing Barasat – ‘A’ Type (660 sq ft), ‘B’ Type (417.5 sq ft), ‘C’ Type (287.5 sq ft) and the price of flats starts Rs.1400/- per Sq ft rate. There will be 11 number of Blocks (Towers) consisting 196 flats. • Gunjan Housing Project Site Address: - Mouza: Jamtagarh, Village: Malikpur, P.S. Barasat, under Ichapur Nilgunge Gram Panchayat, 24-Pgs (North), West Bengal. • Gunjan Barasat Real Estate Project Phone contact number: - 033-3221-7260. • Vibgyor Housing Group Head Office Address: - Vibgyor Tower, 87 Dr. Suresh Sarkar Road, Kolkata-14. • Vibgyor Housing Group Head Office Phone Contact Number: - 98362-22223 / 98310-88518. It is recommended to the peoples, who want to buy flats at Barasat (or nearby area like Barrackpore, Barasat, Ichapur), to contact Vibgyor Housing Group as soon as possible to know new Gunjan flat prices and to Book Flats. Various Jobs Recruitment Vacancy 2012 Vibgyor Group Kolkata Online application Procedure Apply Date Schedule Interview Timings Various 2012 Jobs Recruitment Vibgyor Group Kolkata Eligibility Criteria Pay Scale job location 2012 jobs recruitment Various Vibgyor Group Kolkata. Vibgyor Group Kolkata invites application from the eligible candidates for the 2012 Recruitment of Manager, HR, Accountant, Engineer etc and the details as follows. • Various Recruitment Vacancy 2012 Job Location: - Vibgyor Group Kolkata. General Manager – Real Estate Recruitment: Total number of vacant post is 10 and minimum 10 years of work experience required. General HR Manager Recruitment: Total number of vacant post is 10 and minimum 10 years of work experience required. Civil Engineer Recruitment: Total number of vacant post is 10 and minimum 5-10 years of work experience required. Architect Recruitment: Total number of vacant post is 5 and minimum 10 years of work experience required. Electrical Engineer Recruitment: Total number of vacant post is 5 and minimum 5 years of work experience required. Plumbing Engineer Recruitment: Total number of vacant post is 5 and Diploma Engineers with minimum 3-5 years of work experience required. Project-in-Charge (Real Estate) Recruitment: Total number of vacant post is 10 and Civil / Structural Engineer with minimum 3-5 years of work experience required. Chartered Accountant Recruitment: Total number of vacant post is 10 and CA with minimum 8-10 years of work experience in corporate finance required. Compliance Officer Recruitment: Total number of vacant post is 5 and Law Graduates minimum 5-10 years of work experience as Legal Officer required. Real Estate Manager Sales Recruitment: Total number of vacant post is 20 and minimum 5 years of work experience required. HR Manager Recruitment: Total number of vacant post is 5 and minimum 5 years of work experience required. HR Executive Recruitment: Total number of vacant post is 5 and minimum 2 years of work experience required. Accountant Recruitment: Total number of vacant post is 10 and Commerce Graduates with minimum 5 years of work experience and knowledge of Tally ERP9 & NIMBUS required. • Various 2012 Job Interview Venue Address of Vibgyor Group Kolkata: - Vibgyor House, P-25 CIT Road, Kolkata-14. • Where How to Apply Process of Various 2012 Jobs Recruitment in Vibgyor Group Kolkata: - Interested candidates are requested to send their resumes to HR Department of Vibgyor Group (address mentioned above) or email your CV to vibgyorgroupcv@gmail.com. Candidates may contact at 9836813419 / 9002869266 phone numbers for further queries on recruitment. Don’t forget to Apply within the scheduled date for the 2012 Various jobs in Vibgyor Group Kolkata and to brighten your professional career. Kolkata Buy New Flats Rajarhat Kolkata Vibgyor Group King’s Residency new property flat price rate costs charges 1 2 3 BHK Rooms size area King’s Residency flats booking online Buy Flat Kolkata. King’s Residency at Rajarhat Kolkata has given the opportunity to the people of Kolkata and across Bengal to buy new flats at Rajarhat Kolkata of Vibgyor Group Real Estate Company. Those who are looking for New Property / Flat / Houses nearby New Town, Baguiati area of Kolkata at cheap price rate; can now contact the head office of Vibgyor Group to book new flats of King’s Residency, Rajarhat Kolkata. Lift Service, Swimming Pool, Lush green landscaped lawn, community hall, gymnasium, children’s play area, CCTV for Security reasons, video door phone for security safety, 24-hours water supply, 24-hours power backups, and many other common facilities are available at King’s Residency, Rajarhat Kolkata Real Estate Housing Apartments of Vibgyor Group. Air Conditioned Club with Swimming Pool, AC Community Hall, AC Gym & other attractive facilities are available at King’s Residency Rajarhat Real Estate Project. There are several types of flats / accommodations are available at King’s Residency like 1-BHK, 2-BHK, 3-BHK Rooms etc and the King’s Residency flat price at Rajarhat Kolkata are varies. Finance and Bank Loan facility is available at King’s Residency Housing Project for the buyers. Types of Apartment: 2/3 B.H.K., Floor Area: 750-1260 Sq ft., Number of Tower: 2 (Basement + G + 4), Total number of Flats: 48 and premium commercial space also available. Residential space (flat) price of King’s Residency Rajarhat is Rs.2500/- per sq ft.
• King’s Residency Housing Project Site Address: - Rajarhat Chowmatha, Bhatinda, Rajarhat Bishnupur 1 No. Gram Panchayat, Kolkata-135. • King’s Residency Rajarhat Kolkata Real Estate Project Phone contact number: - 9831327000 / 8420005658. • Vibgyor Group Head Office Address: - B.K. Tower, 4th Floor, 170/A A.J.C. Bose Road, Kolkata-14. • Vibgyor Group Head Office Phone Contact Number: - 9051336666 / 9830762900. It is recommended to the peoples, who want to buy flats at Rajarhat Kolkata (or nearby area like New Town, Bhatinda, Kharibari, Baguiati), to contact Vibgyor Group as soon as possible to know new King’s Residency flat prices and to Book Flats. Kolkata Buy New Flats Madhyamgram Kolkata Vibgyor Group Mira Garden new property flat price rate costs charges 1 2 3 BHK Rooms size area Mira Garden flats booking online Buy Flat Kolkata. Mira Garden at Madhyamgram Kolkata has given the opportunity to the people of Kolkata and across Bengal to buy new flats at Madhyamgram Kolkata of Vibgyor Group Real Estate Company. Those who are looking for New Property / Flat / Houses nearby New Barrackpore, Barasat area of Madhyamgram (North Kolkata) at cheap price rate; can now contact the head office of Vibgyor Group to book new flats of Mira Garden, Madhyamgram Kolkata. Lift Service, Swimming Pool, Lush green landscaped lawn, community hall, gymnasium, children’s play area, CCTV for Security reasons, video door phone for security safety, 24-hours water supply, 24-hours power backups, and many other common facilities are available at Mira Garden, Madhyamgram Kolkata Real Estate Housing Apartments of Vibgyor Group. 67% open area, 33% world-class amenities and 100% peace of mind – Mira Garden Project of Vibgyor Group located on Jessore Road and only 6-KM from Kolkata Airport, 1.5KM from Madhyamgram Railway Station, 5 minutes walking distance from proposed Metro Station. There are several types of flats / accommodations are available at Mira Garden like 1-BHK, 2-BHK, 3-BHK Rooms etc and the Mira Garden flat price at Madhyamgram Kolkata are varies. Finance and Bank Loan facility is available at Mira Garden Housing Project for the buyers. Total number of Towers – 4 (G+4), Type of Apartments – 2 & 3 BHK. Phase-II of Mira Garden Premium at Madhyamgram launched - Mira Garden Premium Madhyam Residential complex flat size - 3 BHK 1250 sq. ft., 2 BHK 975 sq. ft. & 1 BHK 550 sq. ft. and the price is only Rs.2500/- per sq. ft.
• Mira Garden Housing Project Site Address: - Jessore Road, Madhyamgram Meghdoot Bus Stop, P.S. – Barasat, Near Madhyamgram Telephone Exchange, Kolkata-129. • Vibgyor Group Head Office Phone Contact Number: - 033-22867519 / 9831327000 / 9051336666. It is recommended to the peoples, who want to buy flats at Madhyamgram Kolkata (or nearby area like Barasat, Birati, Madhyamgram), to contact Vibgyor Group as soon as possible to know new Mira Garden flat prices and to Book Flats.